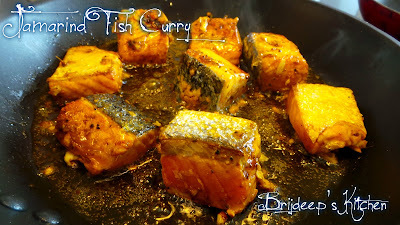 I love my fish and I love to prepare it in various styles almost every week. I love to use Salmon fish for my curries because it's so easy and versatile, has no bones and quick to cook; also I can experiment with flavors and almost all of the flavors I have tried have come out extremely well. 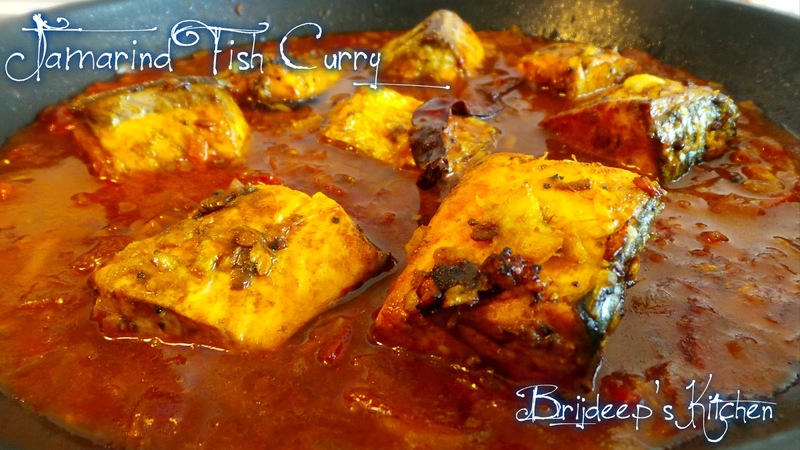 So here's another of my experiments: Tamarind fish curry. I marinated the fish in a mix of tamarind and also used tamarind in my curry. 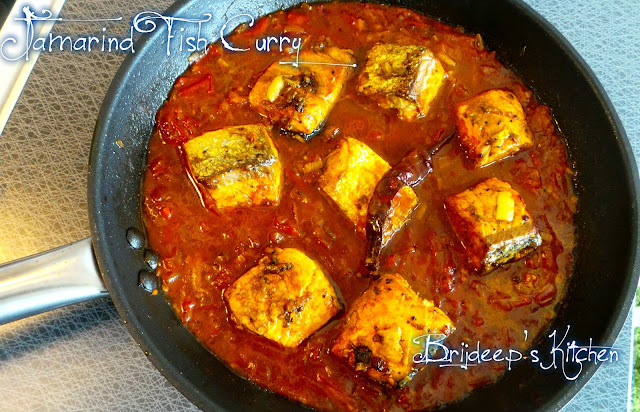 That, combined with tomatoes and spices made it bursting with flavors and it was almost finished in no time when I served it with jeera rice. 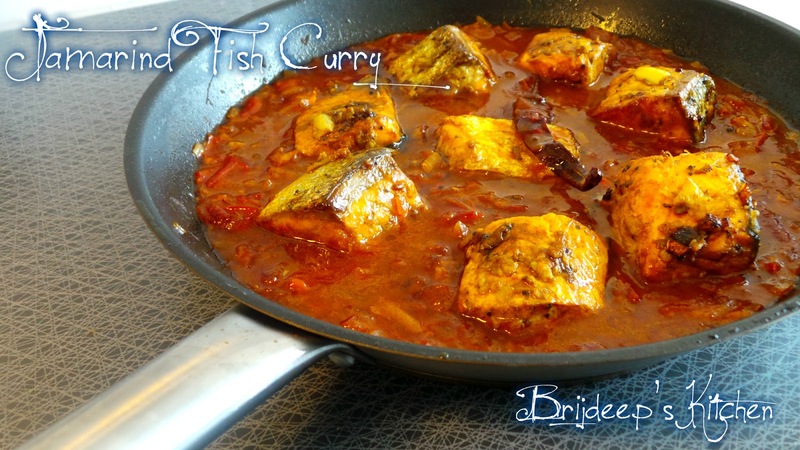 Another special thing with this recipe is that I made it the previous night and served the next evening, it tasted rather amazing as the complete flavors of curry had seeped inside the fish, making it all the more delectable. Garlic (crushed or grated): 2 tsp. Wash and cut the fish into desired size. Marinate in the ingredients mentioned in the marinating list: Salt, turmeric, ginger-garlic paste (you can also use grated ginger and garlic, it gives a nice texture), black pepper and tamarind. Keep aside for 20 minutes. 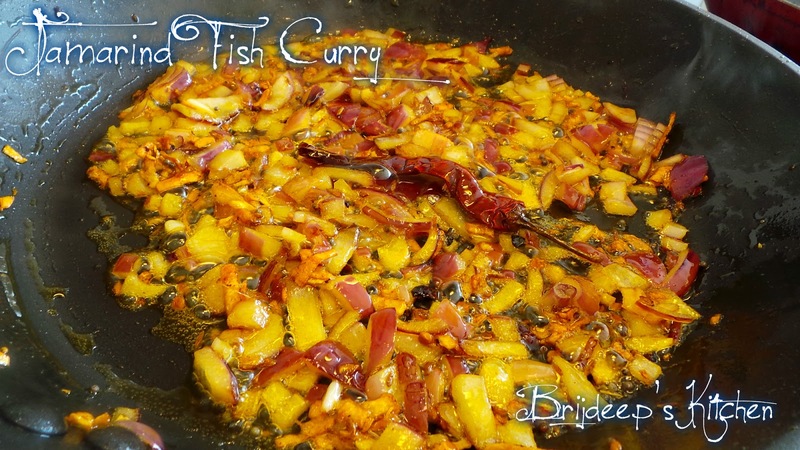 Heat the mustard oil in a pan and add the marinated fish pieces. Fry from both sides, keep turning sides so it doesn't stick to the pan. It won't take a lot of time, 5-10 minutes each side. Remove from the pan by draining the oil and keep aside. Now we prepare the curry: Heat the same oil and crackle cumin seeds and mustard seeds. Add fenugreek seeds and dried red chilli. Add the garlic after 30 seconds and fry a bit until the raw smell disappears. Add the onions and fry until they are transparent. Add the tomatoes and sprinkle salt. 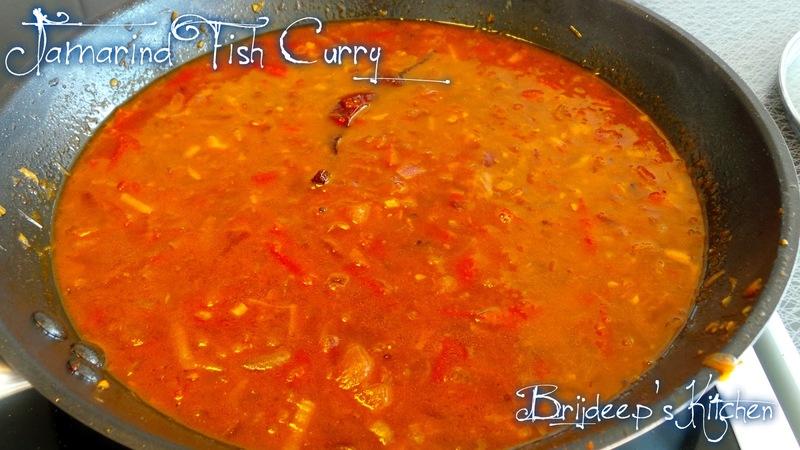 Mix and let cook until the tomatoes are cooked and are soft and mushy. Add the red chilli powder and ginger. Mix well and add the tamarind. Mix everything and let cook for about 2 minutes. Add 2 cups of water, give a stir and cover. Let cook on medium flame for about 15 minutes. Remove cover and turn off the flame. Let the curry cool completely. 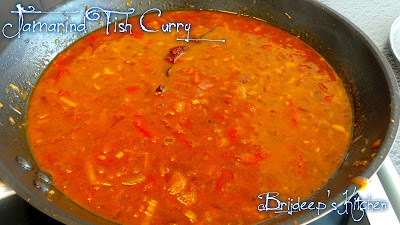 When the curry is cooled, gently add the fried fish pieces to the curry and transfer the whole fish curry to a big bowl. Cover and refrigerate overnight. 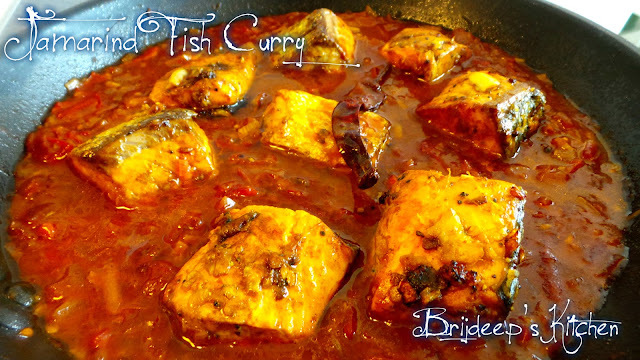 I refrigerated about 24 hours and it gave the curry an amazing taste, with all the flavors seeped inside the fish. Take out from the fridge 30 minutes before serving. Warm it gently and serve hot with jeera rice. Disclaimer: Please note that this is an original recipe of the author and may not be copied or reproduced in any form without prior permission. Loved this recipe? Please leave a comment in the comments section below as it really motivates me. Don't forget to join me on my Facebook Page for regular recipe updates.